My feed is buzzing with the upcoming tablet newspaper "News+" from Bonnier, and at first glance it looks very interesting. As I wrote in "Debunking The Digital Magazine" and "Print vs. iPad vs. Web," most newspapers and magazines simple do not understand the digital world, but News+ gets it mostly right. It is subscription based, no longer this free nonsense. It is a living edition, which is updated continually throughout the day. It is not limited to a single device. It's anytime, wherever, and whenever. You can share the articles. You can connect it to the social networks (kind of). 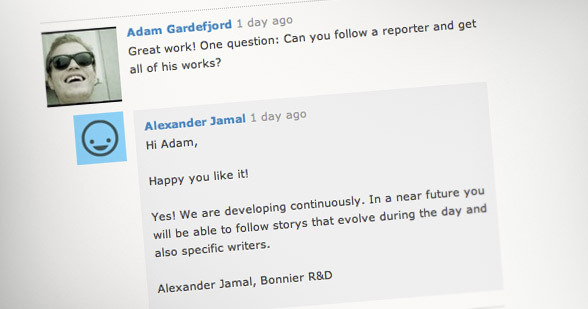 You can comment on articles and discuss topics directly from within the app. Now we are starting get something that might actually work. Instead of just making dead apps, this one is alive and connected. There is also a very nice social element to the "read later" feature, in which you can see not just what you have saved, but also what your friends have on their reading lists. That's brilliant. Throughout the day we filter the most important news, we put it into perspective, we analyze and explain it. Most newspapers go out and say "we will give you all the news," which might have been a good idea 20 years ago. But in today's world of abundance "all the news" equals a total overload. In a world of abundance, focus and quality is the key to success. Quantity will get you nowhere. There are a lot very interesting elements in News+, but it still suffers from some of its newspaper heritage. 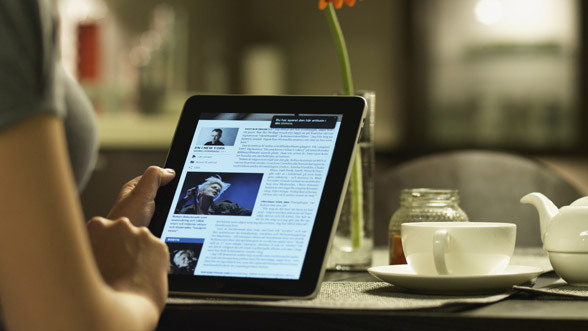 We created News+ for newspaper lovers, regardless if you are reading print and on the web. I do understand that it is easier to sell a new thing, if it looks familiar. But, we do not need the limitations print. 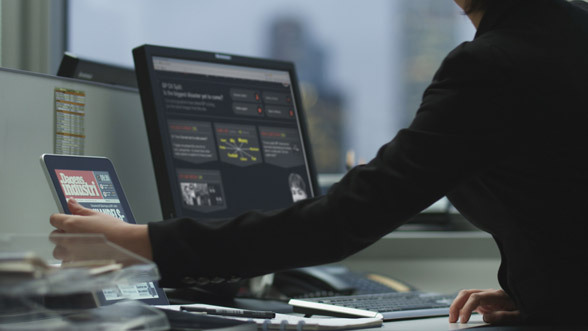 With newspapers, because of the print format, the main form of navigation is based on reading a page, without having any idea what comes next. This is not a very efficient way to navigate. There is a huge risk that you will be wasting people's time, by having them flip through articles they don't want to read. Imagine if you had to read this site by flipping through each article until you found something you are interested in. It doesn't work. It's a limitation from print. The related links in the sidebar or below the article. The inline links inside the article itself, providing you with a direct path to related content (like the two links I posted in the beginning of this article). The inbound links from social services, aggregators etc. These navigation elements provide a far more efficient way to discover and digest the content you want to read. 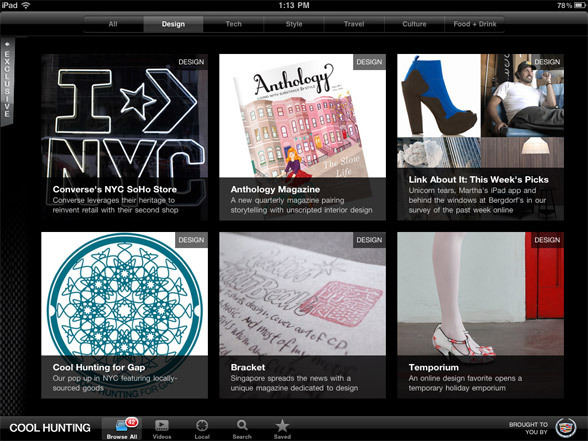 A good example is Coolhunter's iPad app. where you have section pages with list of articles, and in-article links to related content. Another issue with the iPad media apps, especially the news apps, is that the concept of what's newsworthy has changed dramatically in recent years. We now live in a connected world and news is everything we care about - despite its source. News is traditional news about world or local events, it's the pictures on your sister's Flickr, it's the presentation on Slideshare; it's the analysis on someone's blog etc. All of it is highly relevant and newsworthy to the individual. As I wrote in The Future of News, Tablets, and Business Models, "We don't want to start a separate application to read the news from each specific news source." Media companies need to turn their focus upside down. Instead of forcing people to come to them, they need to go out and become a part of people's stream. Can I follow the articles in each section on Twitter? Can I add them as a source to my Flipboard? Can add the content to Google Reader? Do you make it available to the many news aggregators out there? Adam Gardefjord asked whether you could follow specific reporters, which shows the new mental image people have when dealing with content. We follow first, consume second. The real question is: Can you follow reporters on Twitter? With the links opening directly in the app? Get out there. Move into people's streams. Note: Technically speaking it easy enough to do. You can register a domain/URL to your app, so if people click on it on iPad it will launch you news app (instead of in the browser). This is how YouTube works on the iPad. Overall, News+ is very interesting, especially compared to most other iPad newspapers. For the most part, "they get it." It's not a closed off world, it's connected, it's social, and it's about creating content. 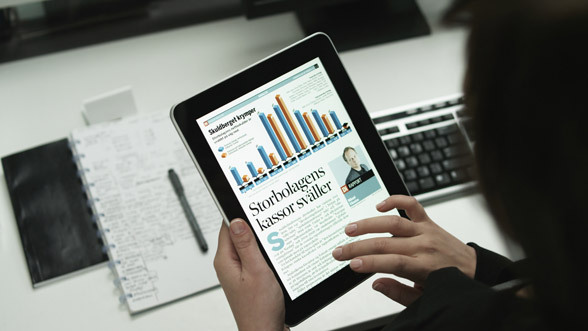 Also note that the iPad isn't actually for sale yet in Scandinavia. Bonnier are launching this app *before* people can even get it. That tells you that Bonnier is focused on embracing the future, instead of just trying to maintain the past. Generally, I like it. 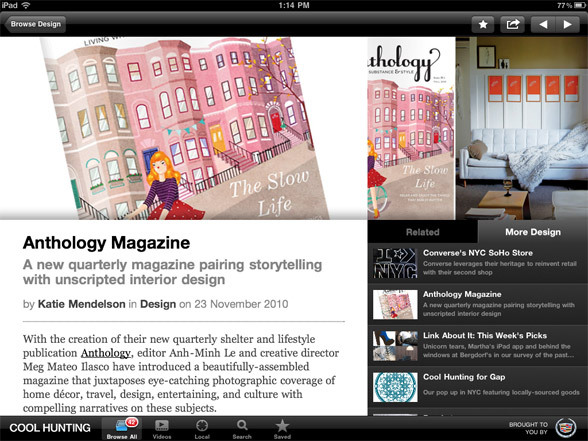 It's one the first "iPad magazines" that embraces the connection. We are not fully there yet - we still need the links and being a part of the world around it. But, it is a lot better than what we have seen so far.